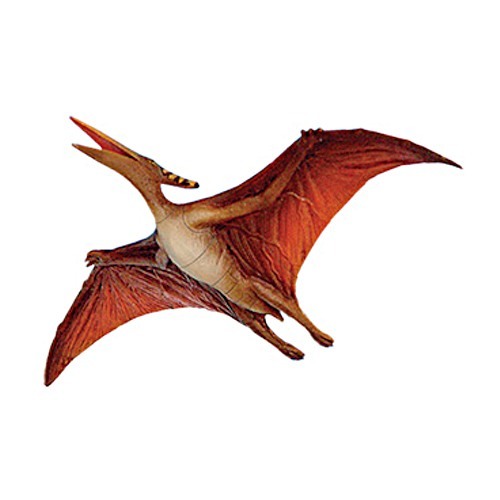 Pteranodon is a flying dinosaur. He has 2 hands and 2 small feet. In his hand there is a membrane that helps him to be able to fly, very large hands than with his feet, the magnitude of this animal such a bus. He is a carnivorous. He usually lives in a high mountain pass. Pterosaurs or so-called Pterodactyl is a dinosaur that can fly like an airplane. 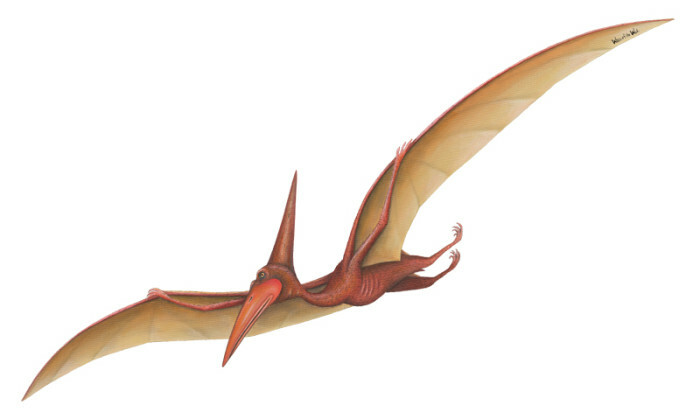 Pterodactyl is believed by some scientists, capable of flying up to 10,000 miles without stopping. Quetzalcoatlus is a pterosaur, the largest flying animal at the same time in history. The biggest wingspan of 12 meters (for propeller engine aircraft) ever. Life roughly around the coast, because the shape of the beak that allows it to catch fish. Scientists know that Microraptor was found to have a physique like a crow. Scientists also found this species wags his tail like a peacock. In the identification process, scientists analyzed fossil wing with an electron microscope to see the structure of the melanosome. The structure is very small, but plays a role in determining coat color. Obviously Confuciusornis is a bird that has much in common with today’s birds. 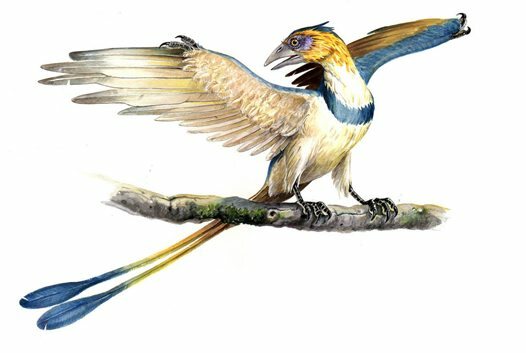 Features modern birds have been found in birds, including the beautiful asymmetrical feathers, pygostyle structure to support the tail feathers, sternum, and wing and half of which were identical to modern birds today.Rhamphorhynchus is aviator late Jurassic Period, living between 170-145 million years ago. Wing span of up to 2 meters long and 1 meter of body, including the tail-not for Ornithocheirus. 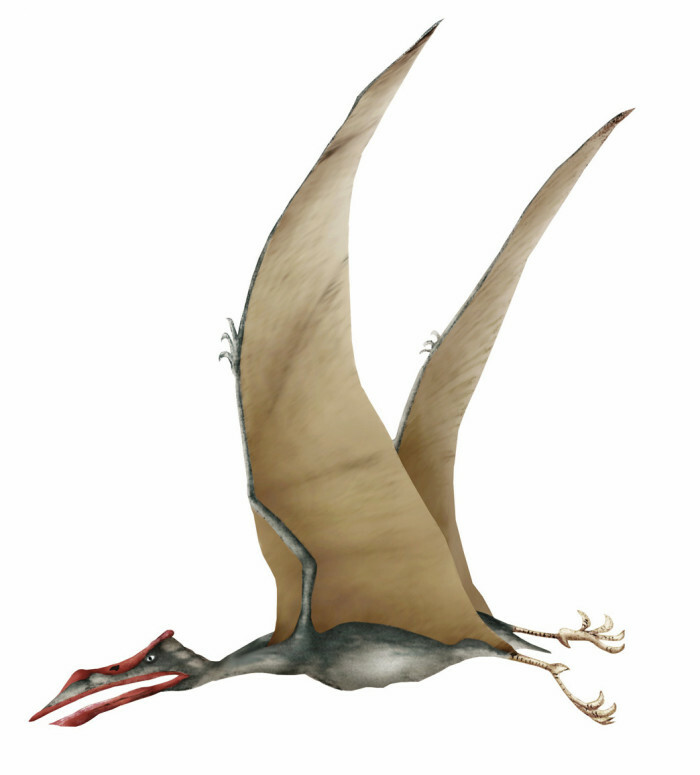 This is a carnivorous flying pterosaurs that are social, probably due to fly in groups makes them feel safe. They clustered in predator-free islands are relatively safe. There they can eat fish in peace.